From chicken you can prepare delicious and healthy meals. 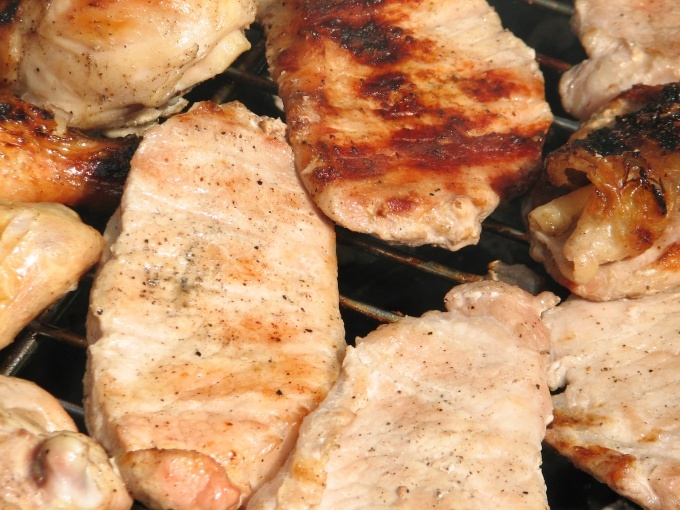 Chicken meat is considered low in calories, but the breast fat is less likely. But a lot of easily digestible protein, vitamins and minerals, very little cholesterol. Another plus of chicken that it is prepared very quickly. And of the dishes from there are so many. You can fry, boil, and can be baked chicken with various vegetables and sauces. salt and spices to taste. Chicken fillet baked with tomatoes and cheese. Before you start cooking, take the fillet and rinse it under running water. Then fight off the meat, season with salt and pepper. Place on a heated pan, fry on both sides until Golden crust. While fried fillet, cut into rings tomato. Once the fillets are browned, put in it chopped tomato. From top to pour a small amount of mayonnaise and sprinkle cheese, grated on a coarse grater. Put the pan in the oven. Bake the dish at 200°-220°C until tender. Baked fillet place into serving dish, garnish with herbs or chopped cucumber. As side dish you can serve rice or steamed vegetables. You can cook more than the original dish: chicken baked with bananas. Chicken fillet fry on both sides until Golden brown. Now you need to prepare the sauce for baking. For this the flour and curry powder, fry in butter, then add white wine and lemon juice. Without ceasing to stir, pour in chicken broth and cream. Season with salt and pepper. Cook the sauce for another five minutes. In a baking dish put fried chicken and sliced fruit. Finally, pour the sauce. Put the dish in a preheated 220°C oven. Bake for 25 minutes, until a beautiful crust. The finished dish garnish with parsley, cut into portions and place on plates. The main problem with cooking chicken is that it often turns out dry, juicy enough. But this can be avoided if you follow some tips. First, before you start cooking chicken Breasts can be soaked in yogurt with salt and add some seasonings. Enough to fillet marinated for two hours. Then you can proceed to further processing. Secondly, if you fry the fillets, do it on a slow fire. You can also baste the meat with lemon juice or a small amount of dry white wine.